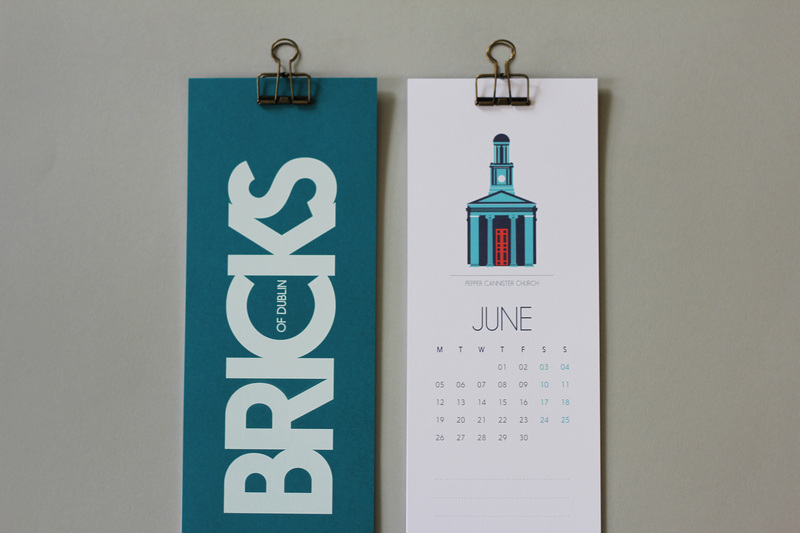 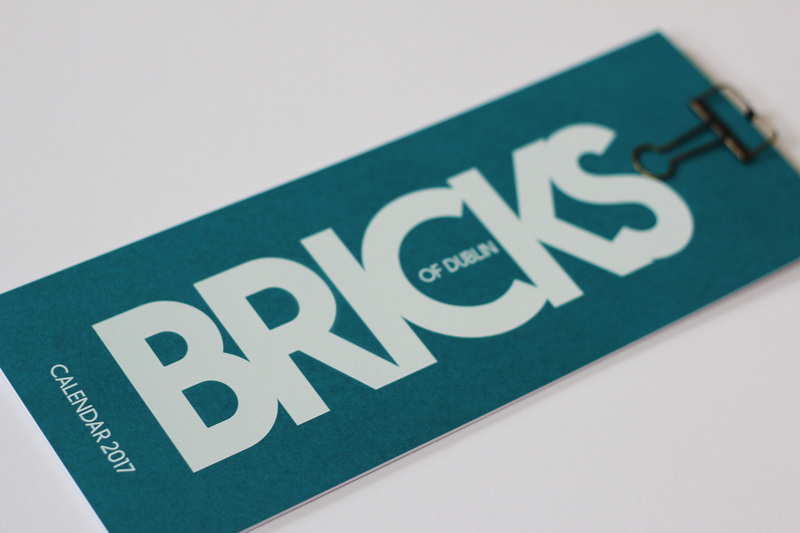 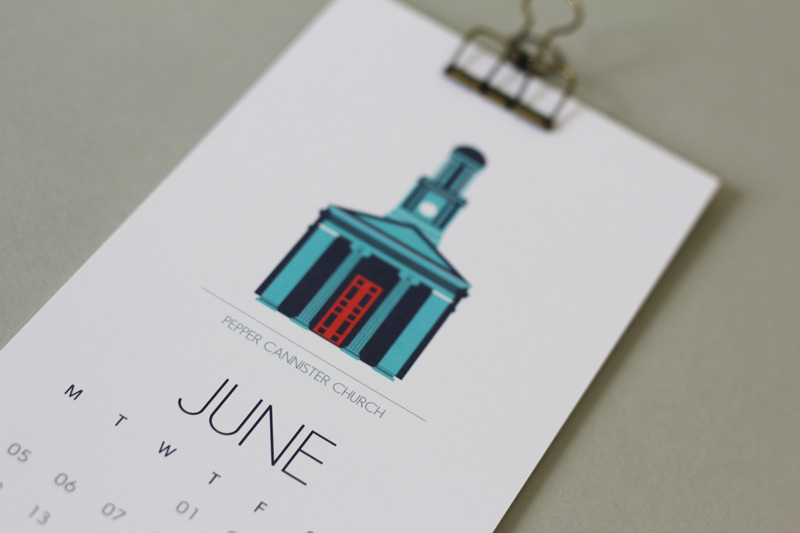 This is a calendar designed in 2017 featuring illustrations of well known buildings in Dublin. 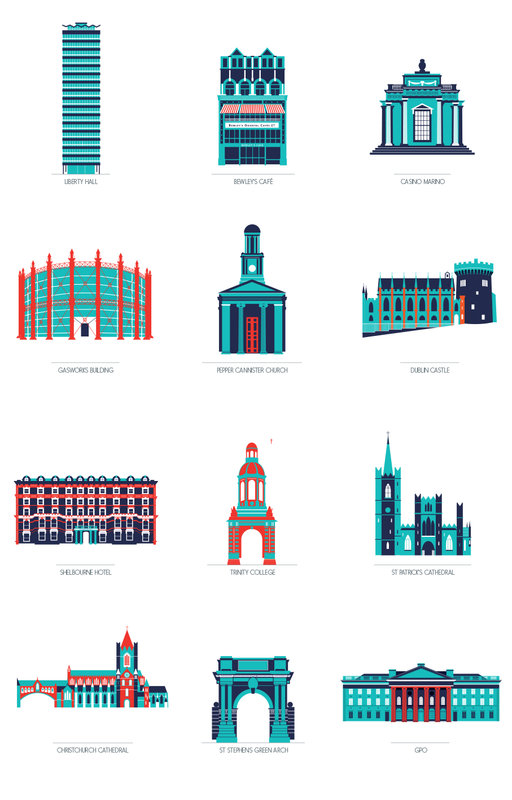 The illustrations are created in a minimal flat style with a limited colour palette. 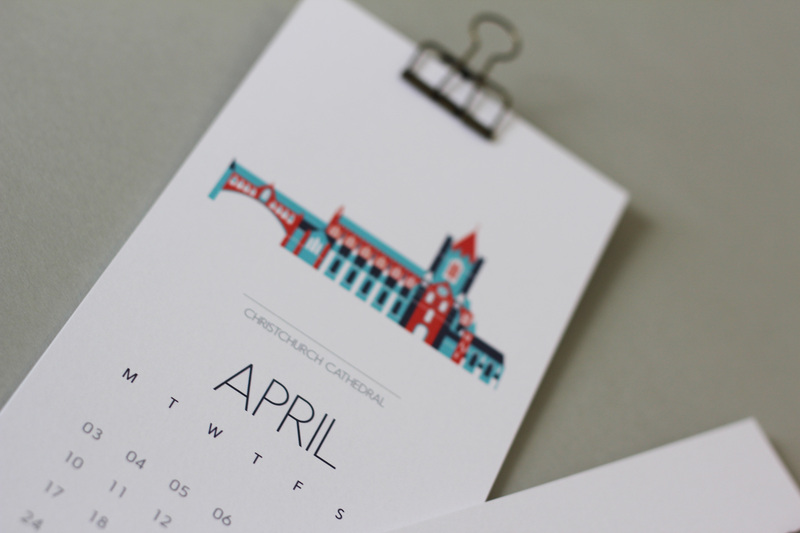 The calendar is collated together with a wire bulldog clip, allowing the pages to be easily changed each month. 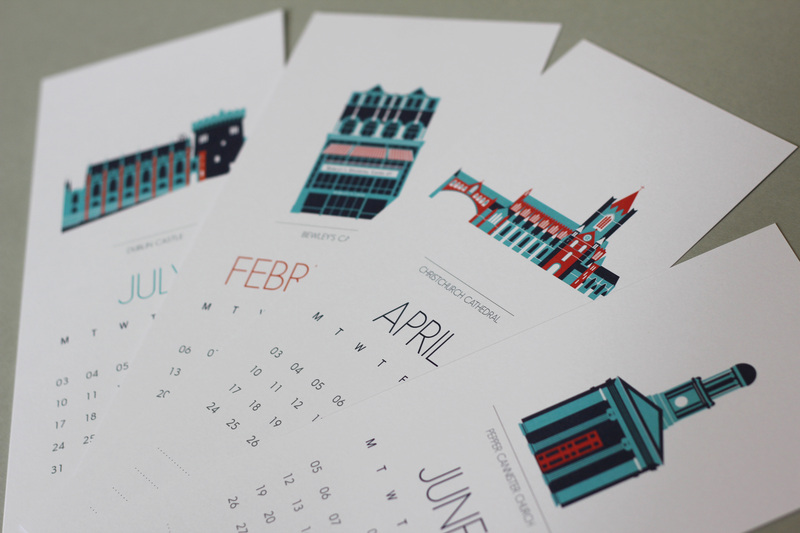 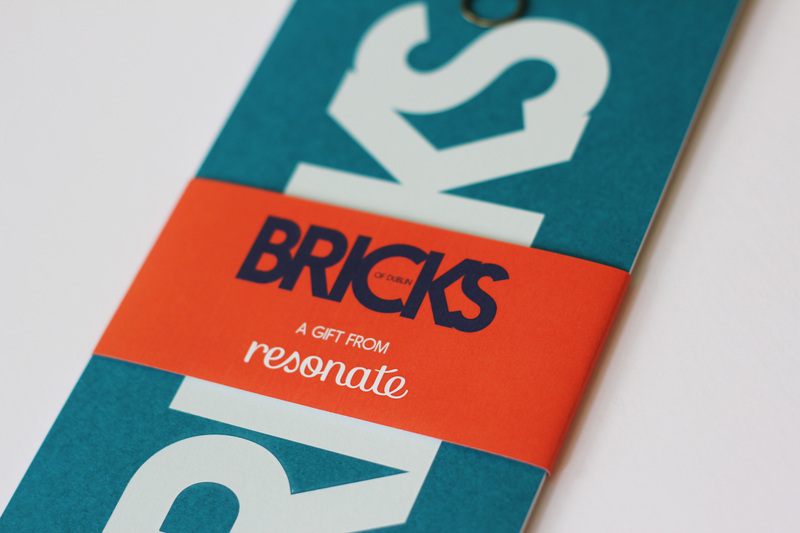 The calendar was designed as a Christmas gift to our special clients!